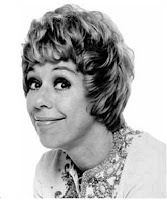 When I was an adolescent, a young comedienne named Carol Burnett burst into public awareness by singing a song on the Jack Paar show entitled "I Made a Fool of Myself Over John Foster Dulles." Dulles was Dwight Eisenhower's peripatetic and somewhat stodgy Secretary of State, for whom the international airport near Washington DC is appropriately named. I googled the lyrics and found them here. To my heart I said "oh behave"
and it replied "his slave"
that I'm simply on fire with desire for John Foster Dulles. Whose Ox Does Hate Speech Gore? At the Virginia Tech memorial meeting, Nikki Giovanni, a poetess in residence who is also a "University Distinguished Professor," was asked to speak. She also claims to have spotted the killer (may his name be blotted out) in her classes. She has a tattoo with the words "Thug life" to honor Tupac Shakur, whom she admired. Her book Love Poems (1997) was written in memory of him, and she has stated that she would "rather be with the thugs than the people who are complaining about them." She also tours nationwide and frequently speaks out against hate-motivated violence. The recognition of Middle Passage as our porthole to prolonged space travel is a unique way to understand both slavery and space which I explore in Quilting the Black Eyed Pea. These two apparent opposites, our shameful past and the possibility of water and atmosphere on a distant star, must combine to make not just poetry but a better theory of life. My primary interest is the evolution of Black America and the impact of that evolving upon Earth. Rhythm and Blues was born from a fusion of gospel and jazz. Fusions continue in many other aspects of the Black experience whether it is food, clothing, painting, movies or any other art. We even Rock the Vote these days. Charles Darwin went in search of The Origins of the Species. Much of his work has been used against him and the rest of us. I am in search of Darwin by land and sea to put together my theory of luck and happenstance. If luck and happenstance are factors, then responsibility has to change. My primary interest is in learning something new. I'm not making any of this up. I couldn't if I tried. And no, I haven't studied her entire oeuvre. The VTech English Department is a strange mixture of post-modern cant, focus on racial and "gender" issues, and fairly traditional studies of Chaucer, Shakespeare, and poets like John Donne. There's certainly a lot of goofy stuff there. And a lot of what one expected in an English Department when I was young, back in the day. I haven't been blogging very much lately, for which I apologize. For some reason, our hits are up. Something to do with search engines finding the images we use. Nor have I rushed to natter about the slaughter at Virginia Tech. A decent interval has passed now, and so I shall make my inevitable observations. Most of what I have to say is not original, but I'll try to comment briefly on the issues raised on various blogs and haunts of the punditocracy. First, the sheer horror of it all. Somehow the randomness, which is bad enough when a car or plane accident occurs, makes it all worse, as do the youth and numbers of the dead. Comfort the mourners. Sacrifice. Many are praising Professor Librescu, who died barring the door, giving his students time to jump out the window. Human beings honor those who give their lives for others. From an individualist perspective, Professor Librescu's action made no sense. Self-defense. Few, apparently, defended themselves. Partly, that was due to the prohibition on firearms on the campus, and partly, no doubt, to the shocking, unexpected nature of the events. Could not the killer have been swarmed--books thrown at him, a kick directed to his privates. In other situations of this kind, killers have been overpowered. If the immediate fear prevents such a response, perhaps self-defense training should be given. The police, of course, tend to tell people to cooperate, but this can't apply when the perp is already pumping out bullets. Gun control. Both sides of this perpetual debate have rushed to seize upon these events to further their cause. To me, gun prohibition is both politically impossible and looney. The police are a bureaucracy, and often not all that competent, and cannot be relied on in such emergencies. The only chances for survival in a situation like this are fight or flight. Gun controllers would deprive even the well-trained, say, the ex-Marine, of the means to defend themselves and others. One such fellow with a shoulder holster could have saved many lives. The prohibition of arms and the deprecation of self-defense turn citizens into infants. In the Therapeutic State, perhaps that is the purpose. In addition, existing laws in Virginia, if enforced, might have been enough to prevent the killer from buying guns--had had a history of being committed for mental illness. Mental illness. It now appears that the killer had serious mental problems that most who came into contact with him knew about, including his own family. He was both uncommunicative and delusional, and had a history of stalking and violence. Whether he was somewhere on the autism spectrum, bipolar, or schizophrenic, is hard to say. Too much more stringency in laws empowering institutionalization, compelled treatment, and parental notification would violate basic principles of liberty. The man was 23, and if he wanted to keep his life private from his parents, shouldn't that have been respected? However, these laws must be reconsidered, albeit carefully. In this era of many medications, there are treatments short of locking crazy people up. Immigration. The killer's family were South Korean, worked hard as pants pressers and sent their kids to college. Although their daughter seems to be highly successful in a middle-class sort of way, I can see no reason why we needed this particular family as immigrants. To what extent culture shock in childhood affected the killer's illness is unknown. Indeed, he seems to have had problems before he came here. There was simply no compelling reason to admit these people--no family reunification, no refugee or asylum situation, no special skill they brought to the economy. Mourning. These events brought out the usual collection of grief counselors, smarmy pep rallies, teddy bears and candles. Liturgies have evolved over centuries for these situations. They exist for a reason. I begrudge no one his mourning device of choice, but advocate the old ways as wisest and most tasteful. Radical evil. Pace Anne Frank, people are not "good at heart." We may possess a degree of grace, but this is a fallen, demon-haunted world. We need less "self-esteem" and more contrition, and recognition of our need for healing, none more than I.
Iraq. Some, such as Marc Cooper, are pointing to the numbers who die, many randomly in Iraq, compared to this event of which we make much. True enough, and a reason for sober pondering of the situation there. I doubt, however, that the analogy will change any minds. Media PC folly. Oh, and an afterthought. It's un-PC for a white guy to make tasteless remarks about a basketball team, but apparently quite all right for the network to play, and play, and play the pyschotic rants of a mass-murderer. Kill a co-ed, get on TV. Codey pointed out on WCBS-AM that Corzine is the third elected New Jersey governor in a row to break his leg while in office. Guess they'll have to retire the old showbiz alternative to "Good luck!" in Joisey. Al Sharpton: scum of the earth. DOJ officials taking the Fifth over what should be a non-scandal. Suicide bombs in the Green Zone. Wolfowitz giving his GF a raise at the World Bank. It's not raining. It's pouring. SAN DIEGO- A federal bankruptcy judge Wednesday ordered an external audit of the Roman Catholic Diocese of San Diego, chastising church lawyers for a lack of transparency in court filings. U.S. Bankruptcy Judge Louise DeCarl Adler grilled attorneys representing both the diocese and a parish organization, as well as two pastors who had sent letters the judge said misrepresented comments made from the bench during an earlier hearing. Adler criticized church attorneys for failing to include 770 parish accounts in bankruptcy documents. "This is the most Byzantine accounting system I've ever seen," Adler said. "I am mystified." I thought it was Roman. Will the Ecumenical Patriarch be pleased? As if the Internet weren't addictive enough, they've come up with Library Thing, where you can catalog your books on line, and find other people who have the same strange tastes. Iran has returned the British sailors, after the quiet return of an Iranian "diplomat" captured in Iraq, but without any apology from Tony Blair, and without a shot being fired. Some have argued that this was a humiliation for Britain. I don't agree. The British government didn't grovel, and no one had to die because of this incident. Perhaps the British rules of engagement should have been more robust, when the attempt to seize the sailor was first made. Perhaps the conduct of the captives was less than exemplary (although we don't know what was done to them). But a relatively prompt, peaceful outcome to the crisis is more than many expected. We should be talking to these people. 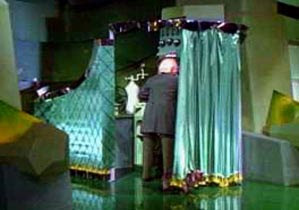 Perhaps we are, behind the curtain. Mitzraim in Hebrew means "the two Egypts" or "the narrow places," referring to the fact that the arable land of Egypt is confined to a small fringe along the banks of the Nile, made fertile until the Aswan Dam was built by the annual flooding of that long river, seen in the accompanying photograph from space. The modern borders, presumably, were drawn, not photographed. 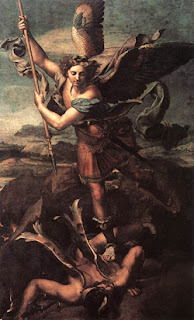 The Psalmist wrote mi-mitzraim galatanu, adonai elohenu, which translates, "From Egypt he has saved us, the Lord our God." Jews celebrate their Passover, or Pesach, this week, and Christians their Pascha, which has the same origin and celebrates redemption from sin and death. Each of us is trapped in a "narrow place," from which it may seem there is little chance of escape. Each of us is enslaved, whether by unforgiving taskmasters or by the darkness in our own heart. This is the season of rebirth, of rescue and redemption. In the past year, what has enslaved us, and from what have we been rescued? What still enslaves us, from which we even now require rescue? Once rescued, as the upper right corder of the image shows, there is plenty of desert for us to wander in, until we (or our children) reach the promised land.